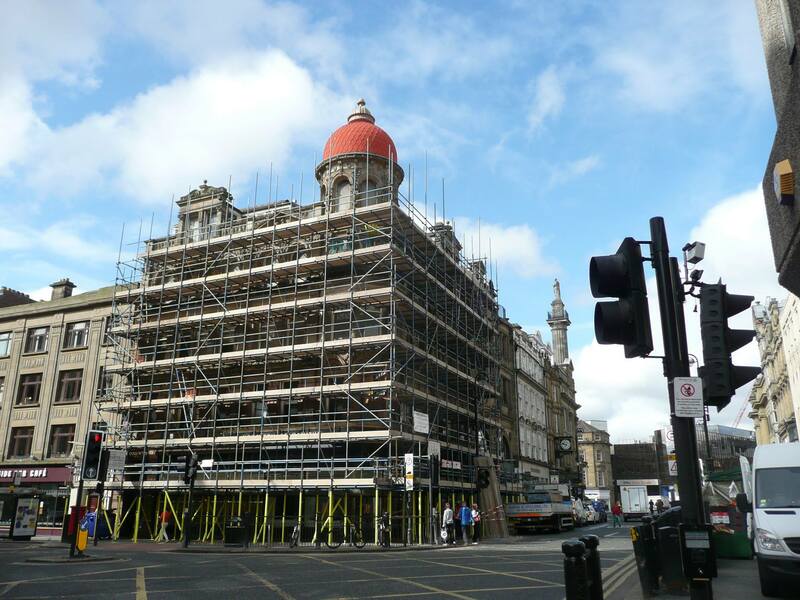 Professional Glasgow based roofer, building repair and historic building restoration firm. 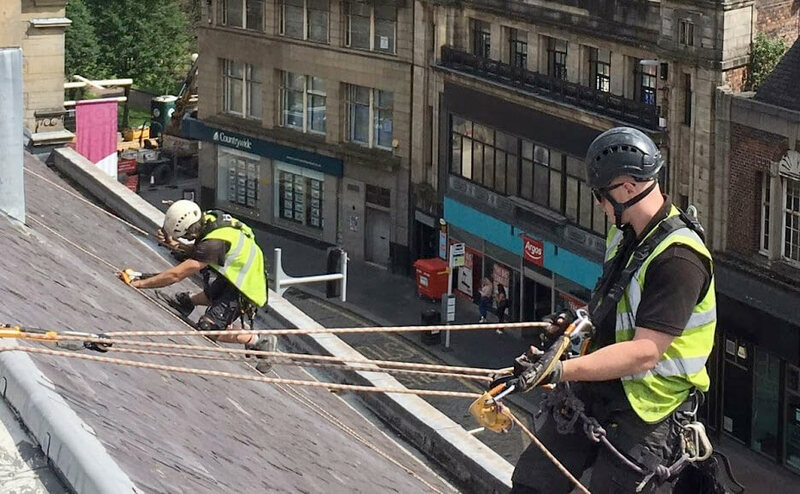 Our skilled difficult rope access specialists can access hard to reach roofing and other details areas across Glasgow. We are a reliable, reputable and professional roofer, building repair and historic building restoration firm based in Glasgow. With over three decades of roofing experience to draw upon, we are a leading Glasgow Roofer for both commercial and residential projects. Our work on building restoration across Edinburgh and Glasgow for stonework, concrete and masonry repairs is renowned. Our team of restoration experts are fully trained, qualified and certified to offer you the very best in professional building restoration and repairs. From our head office in Glasgow, we cover the entire country and use the latest in roofing and equipment from aerial drones for roof survey and inspections to ‘at height’ specialist equipment so that we can access and repair all areas of a building, regardless of how difficult they are to access. It is little wonder that after over thirty years of roof repairs and building maintenance across Glasgow, we at Balmore are constantly growing to always offer our customers the very best in roof repairs and building restoration. From leaking roof repairs or flat roof restoration, Balmore Roofing Glasgow have the experience and know-how to deal with all roofing problems effectively. We’re a Glasgow roofer and have been around for over 30 years. Long enough to fix any type of roof – particularly with the Scottish weather! – and our experience and skill means that most common problems can be relatively straightforward to fix. Lead work requires workmen who are qualified and experienced to carry out the necessary lead work techniques and craftsmanship. 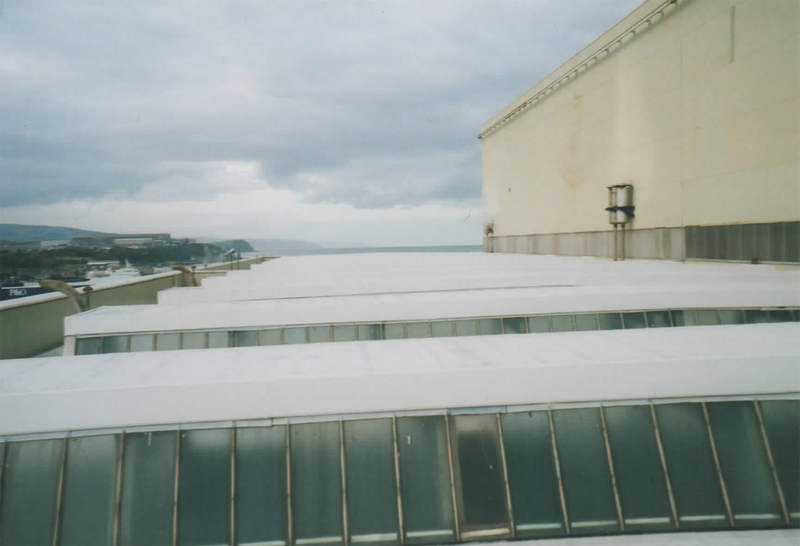 At Balmore, we have built up several years’ experience and offer lead work on roofs across Glasgow as a common service. Throughout our 30 years in the business, we’ve been carrying out lead work on roofs, lead work on chimneys, lead work for decoration and much more. From church steeples and power stations, to flag poles and historic monuments, Balmore Specialist Contracts are professional steeplejacks, providing rope access and height services in a safe, cost-effective and timely manner across Glasgow. We conduct inspections, maintenance, repairs, cleaning, video audits and more. Contact us to find out more about our specialist steeplejack services based, right here, in Scotland. Testing, inspection and maintenance of lightning protection systems is crucial to many structures and buildings and is paramount in Health & Safety. It is also a mandatory requirement for building insurance. If you’re looking for a lightning conductor or surge protection system in or around Glasgow or would like a risk assessment or testing undertaken on an existing system for safety, our height-trained engineers are available to ensure you’re safe and sound. We undertake all manner of stonework, concrete and masonry repairs, preservation and restoration across Glasgow, Edinburgh & Scotland. We have specialist waterproof and anti-graffiti coatings as well as a whole range of cleaning systems from water-based high pressure to chemical low pressure. Contact us to find out more about algae or moss removal and treatment, or fire damage restoration. 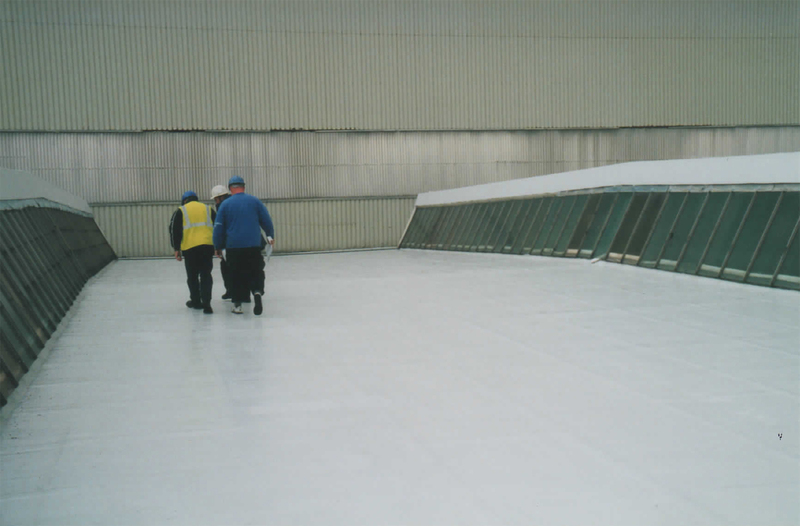 At Balmore we can supply and fit non-slip coatings and flooring to almost any surface. Years of experience in the roofing business have led us to be leaders in the field of durable non-slip flooring applications. What we have done in the last week? With such a diverse range of services offered under Balmore Specialist Contracts, ranging from roof servicing and repairs to at height rope access work, it is little wonder that every week we are doing something completely different. Keep up to date with all the roof repairs, lead work and historic restorations that we do week in, week out across Glasgow and the rest of Scotland with our weekly updates.